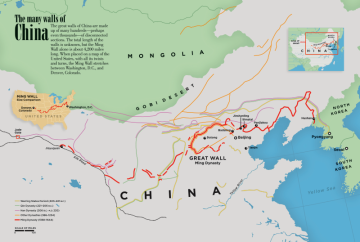 It’s been said that if the Great Wall of China – which took millions of bricks and stones to build – had been built at a height of five feet, it would circle the globe. 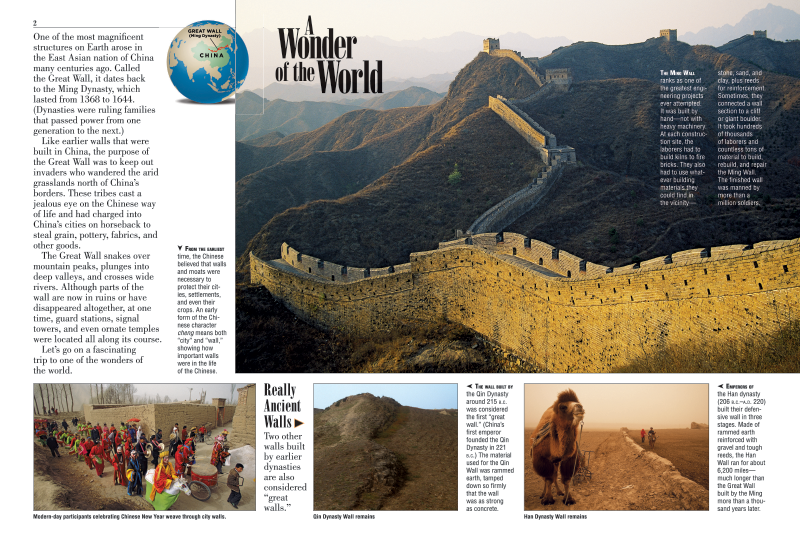 Another fascinating thing that kids curious about the Great Wall of China will discover in this issue is that this huge rampart (which actually consists of many walls constructed by different empires) is not the first great wall that was built. In 215 B.C., nine years before construction on the Ming Wall (the main section) took off, the Qin Dynasty built a 1,500-mile-long stretch out of tamped-down earth. 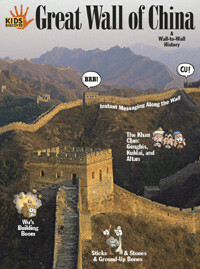 So what actually led the Chinese to start work on the Great Wall of China? 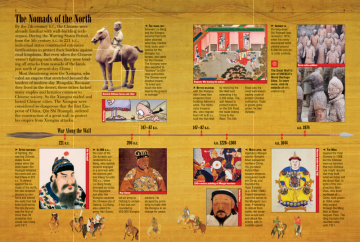 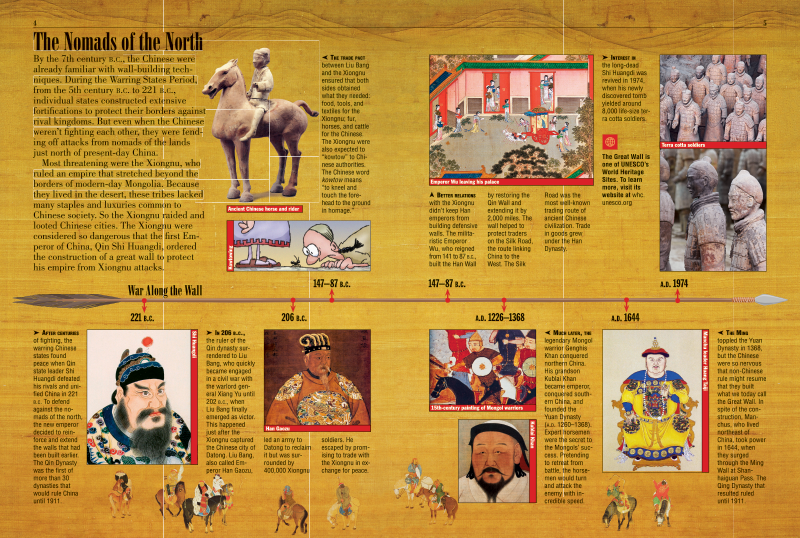 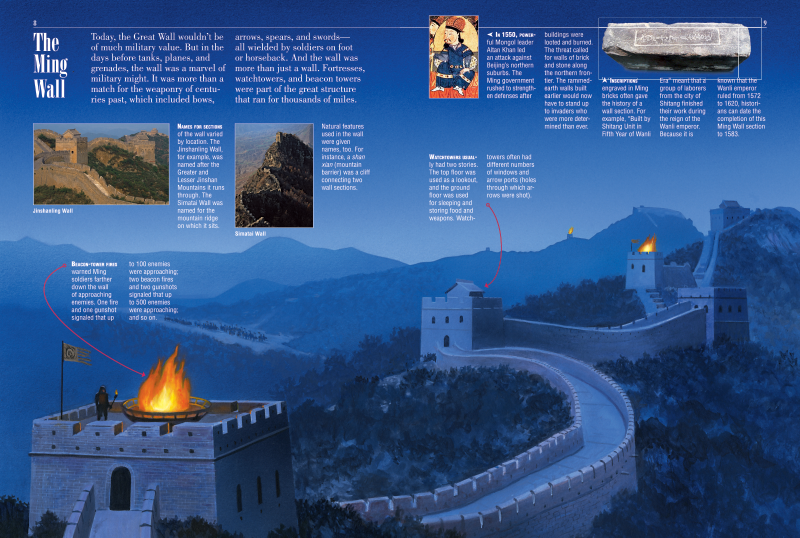 For kids who are obsessed with battles and soldiers, they’ll enjoy learning about the Warring States Period (600-221 B.C. 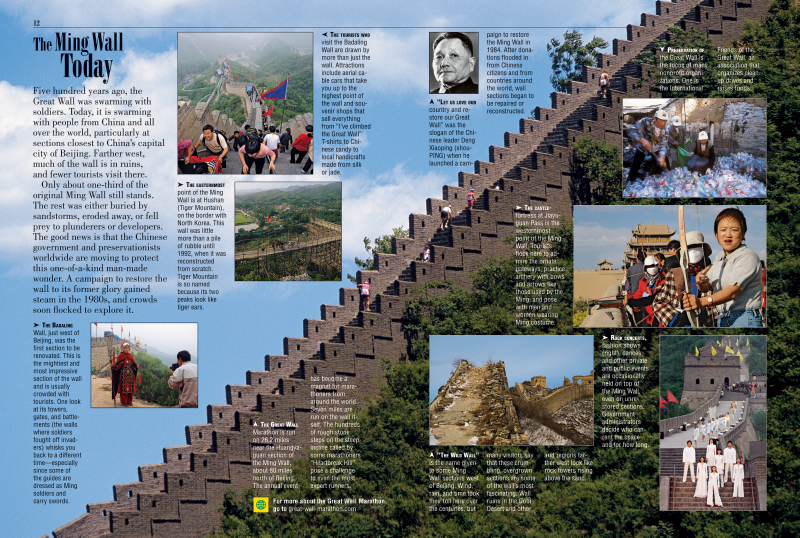 ), during which these massive barriers were built to protect the Chinese from waves of invaders. They’ll also learn that constructing the Wall was no mean feat: It took thousands of men six months to complete a 600-foot-stretch. 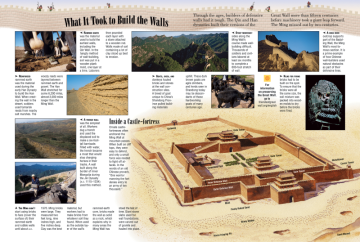 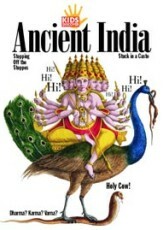 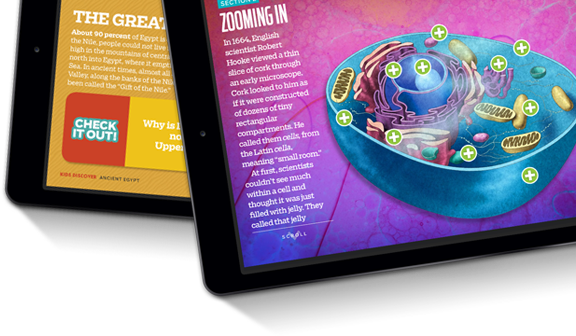 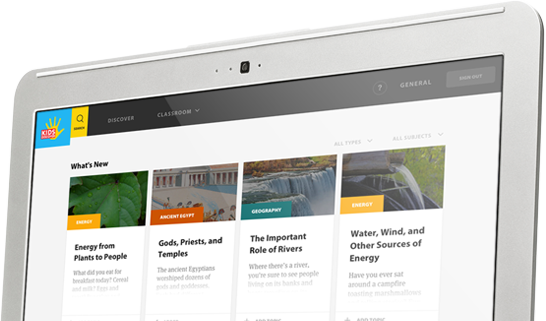 Reading on, kids will get information on the Wall’s reconstruction in modern times, and learn about the many myths and legends surrounding it. 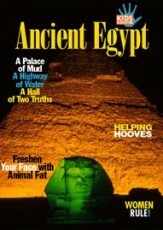 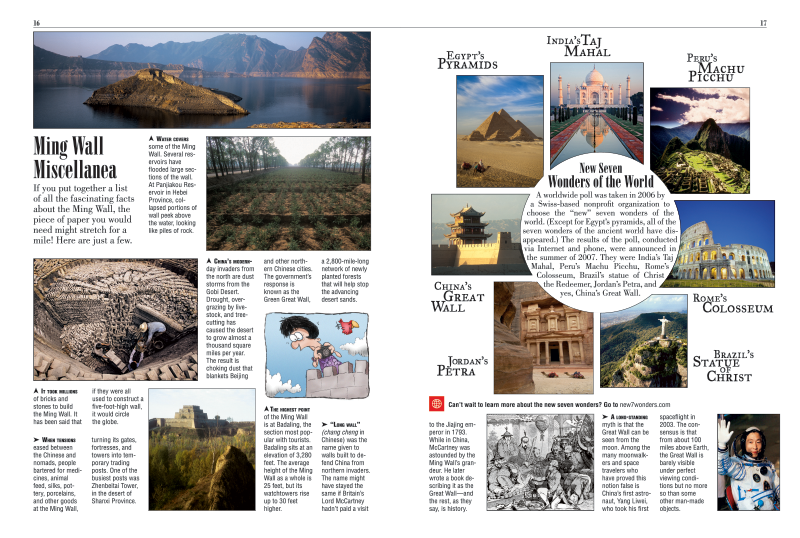 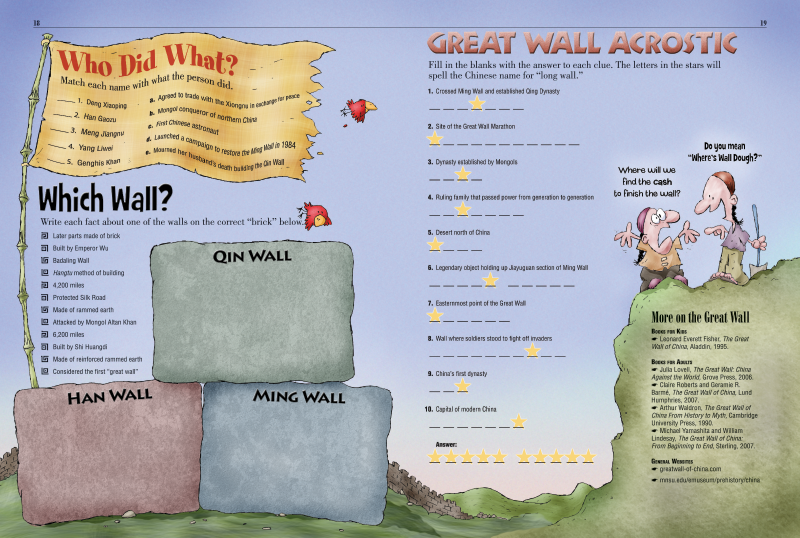 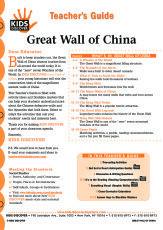 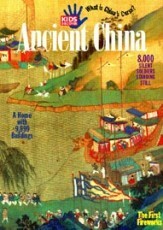 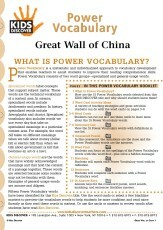 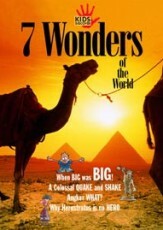 Best of all, a whole section of miscellaneous and amazing details about the Great Wall of China, for kids who love trivia, can be found at the end of this simply “earth-shattering” issue.